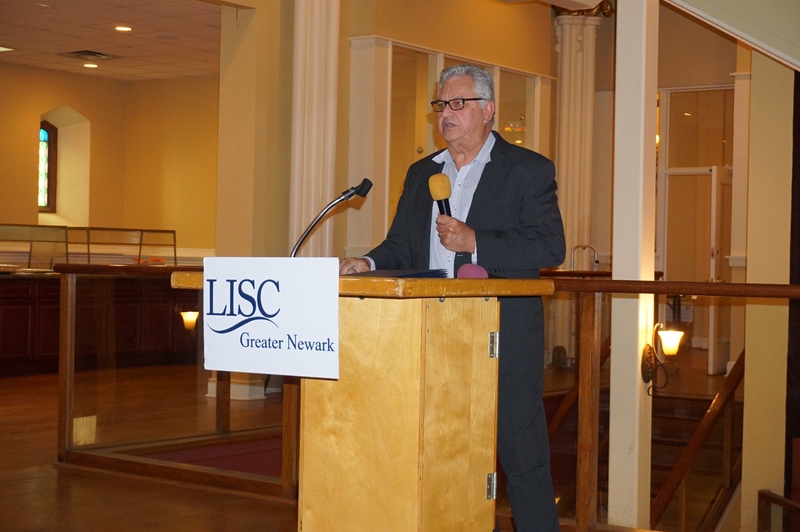 You are here: Home » Blog » New Community Hosts LISC Employees From Throughout U.S.
New Community Hosts LISC Employees From Throughout U.S.
New Community CEO Richard Rohrman welcomes LISC employees at St. Joseph Plaza and provides information about what NCC offers. 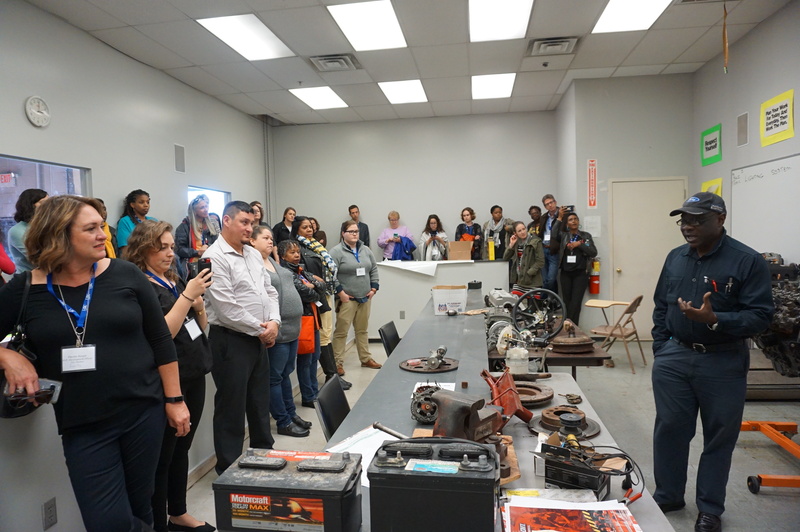 Lead Automotive Technician Instructor John Zaccheus discusses the Automotive Training Center with LISC employees in a classroom. 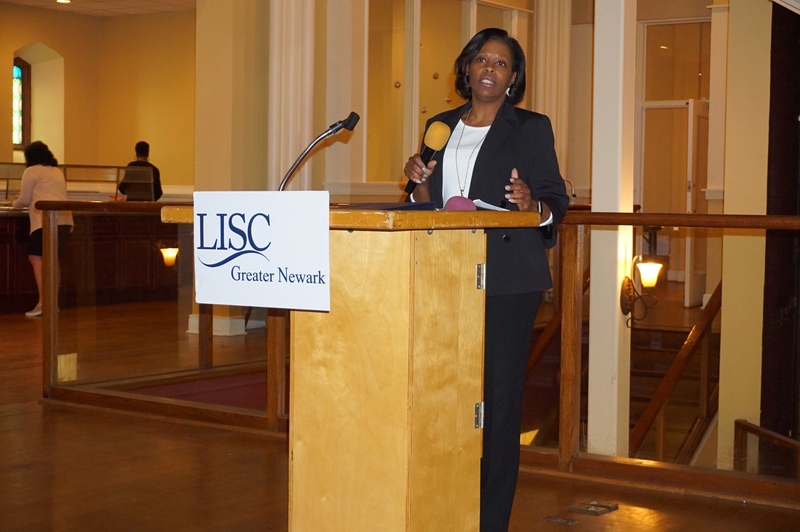 Greater Newark LISC Program Officer Jerrah Crowder talks about the different LISC initiatives taking place at New Community Workforce Development Center. 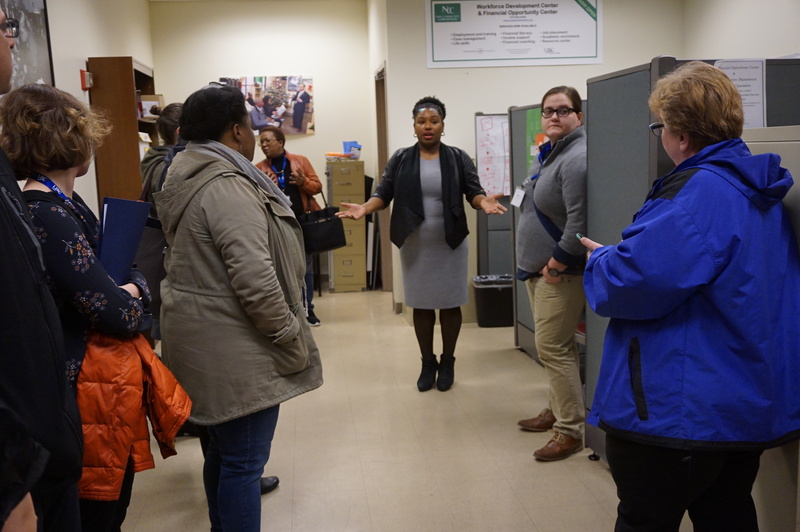 NCC Financial Coach Tamara Brown, center, explains to the LISC employees how she assists New Community Workforce Development Center students and community members with their financial goals. New Community Workforce Development Center Student Recruiter Aziza Johnson talks about the various programs the accredited post-secondary school offers to visiting LISC employees. 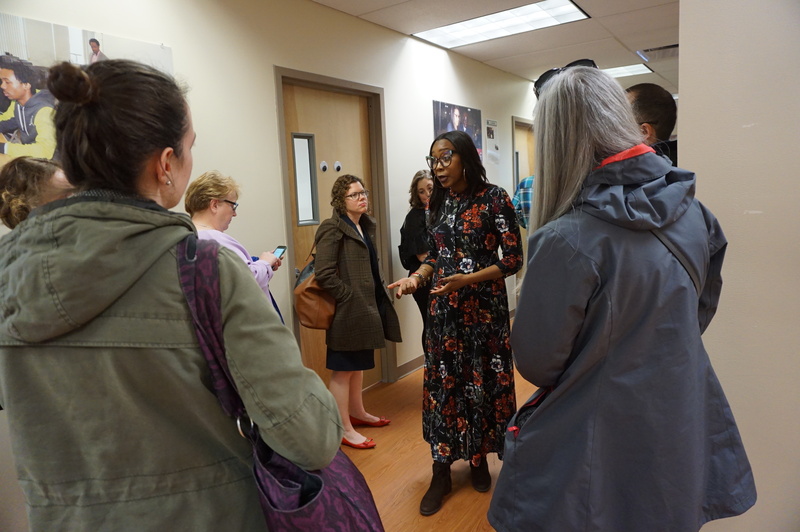 NCC Director of Mission Frances Teabout gives an overview of all the services New Community provides to visiting LISC employees. 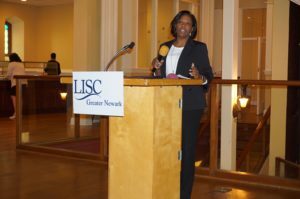 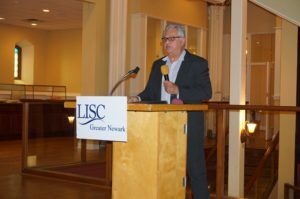 New Community Corporation hosted a group of about 60 new employees of Local Initiatives Support Corporation (LISC) Nov. 7. 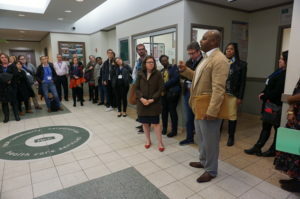 The employees, who were from various parts of the country, got an overview of what NCC offers during a luncheon at St. Joseph Plaza, 233 West Market St., Newark. They then toured New Community Workforce Development Center main campus at 274 South Orange Ave., Newark, to see the facility and hear about its work with the Financial Opportunity Center (FOC) and with the Bridges to Career Opportunities (BCO) programs that LISC helps fund. 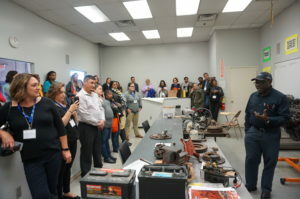 Finally, they got to see the Automotive Training Center, 210 West Bigelow St., Newark, and learn more about the Automotive Technician, Diesel Technician and Building Trades Specialist programs offered.